The KLP1 comes from the same designers who brought you the KLP080 series of LP cases. 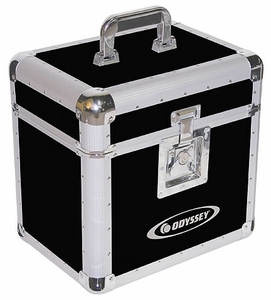 It holds 70 LPs in it's foam-lined interior compartment, and comes in a great assortment of colors. The rugged exterior features a removable lid and lockable butterfly latch.